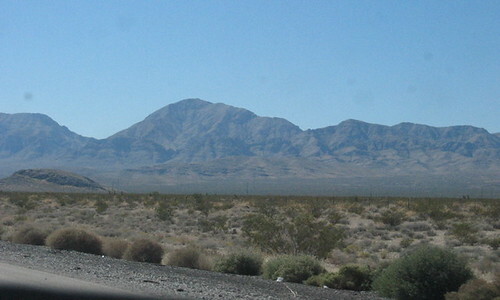 Last weekend, we drove to Vegas. It was kinda like a test run for our next big road trip. Next Sunday, we plan on taking I-15 – through Las Vegas, Arizona and Utah. Then we’ll pick up I-70 and cross into Colorado. I-70 will take us to our new home in Topeka, Kansas. 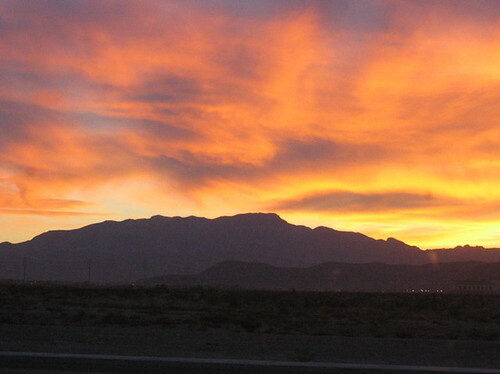 The desert has some amazing sunset – violent red and orange hues clashing in over the mountains. My Ate Gigi says you can hike up in those mountains. Our co-worker once camped out in the Mojave desert. He said he liked camping over exploring the Strip. He’s a nature guy. Mark’s best man was blown away buy the desert scenery. He told us he couldn’t stop taking pictures. He flew in with his family to Las Vegas International. They rented a car for the trip to California. I think the I-15 is a more interesting drive than the I-5. Last Friday, it rained in Vegas. 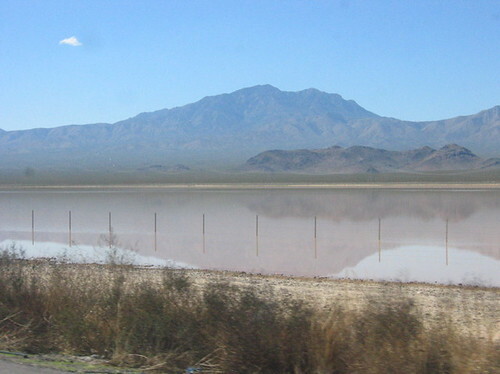 It could be a bad thing to be caught in a rain storm in the desert because it doesn’t have too many trees or plants to slow down the water flow. This temporary lake lingered around on Sunday.